How many apps do you currently use on a daily basis? The phenomenon of mobile apps has truly changed the way we operate when it comes to customization of our devices. Years ago, you would buy a phone based on the features it came with – there was no way to add programs and tools that weren’t there to begin with. Nowadays, we sometimes take apps for granted. Android has an app market called Google Play, but before that there was the iPhone with the iTunes Store. Even before that, we can see apps in the form of browser enhancements through Firefox addons and Chrome extensions. The concept of the app hasn’t changed very much over the years, but the delivery of apps surely has. Where once you were confined by whatever was available on Google Play (then known as Android Market), you now have the choice of using third-party markets. Amazon Appstore is one of those third-party markets and it’ll grant you access to a bunch of apps that you’ve never seen before. 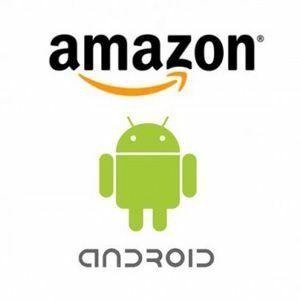 Like Google Play, Amazon Appstore is a way for you to instantly download games and apps directly to your Android device. Because this market is run by Amazon instead of Google, the app submission guidelines are different. This means that you’ll come across apps that are exclusively available only on Amazon’s market because they failed to meet Google’s standards. That isn’t to say that Amazon’s market is full of “leftovers” that couldn’t make it big on Google Play. Amazon Appstore is filled with lots of great apps. You can browse through a number of categories, including Books, Education, Games, Music, Navigation, Social Networking, Weather, and more. As they say, if you need to do something, then you’ll find an app for it. The best thing about Amazon Appstore? Every day, they offer great paid apps that can be downloaded for free! There’s no way to guarantee which paid app you’ll be able to download since Amazon is in charge of the selection, but as long as you check your Amazon Appstore every day, you’ll be able to find some gems along the way – and all can be had without paying a single cent. Unfortunately, Amazon Appstore is a competitor to Google Play. As convenient as it would be, you won’t be able to download Amazon Appstore through Google Play. This means you need to do a little bit of tinkering with your Android device if you want to install Amazon Appstore. But don’t worry! It’s simple, easy, and painless. You’ll then be taken to a page that describes how to get started with the Amazon Appstore. At the top right of that page, you’ll see a box titled “Get Started.” In that box, you’ll see a field where you can enter either your mobile phone number or email address. I entered my mobile phone number, so the rest of these instructions will be based on that. Once you’ve entered your mobile phone number, your device will receive an SMS with a link where you can download the actual Amazon Appstore program. But before you do that, you’ll need to do something else first. On your Android device, navigate to your Settings menu. Under the Applications section, you’ll see a checkbox for whether or not your device allows “Unknown Sources.” Enable that option so that you can download apps from a non-Google Play source. You’ll receive an SMS from Amazon with a download link. After enabling your WiFi or 3G/4G, click on the link and your device will automatically begin to download the Amazon Appstore APK file. When the download is finished, open your Notifications slider and click on the Amazon Appstore APK. Accept the terms of installation. And that’s it. You’re done. From here on out, all you have to do is sign in with your Amazon account and your device will automatically be detected by the Appstore. Now you can browse through the Amazon Appstore and get some great new apps! If you are looking for help with this, I recommend asking a question on MakeUseOf Answers. Be sure to describe your issue in detail. Questions I would have are: What games are you trying to install? What exactly is the problem, i.e. does installation not start or complete, is there an error message or do installed games behave strangely? And what device do you have? Thanks! To add to the fun, I actually found a free app that tells me what the Android free app of the day is! What app are you referring to? Does it just tell you what it is or let you click and take you right to the Amazon App Store as well? I'm curious because I download the FAOTD all the time and a widget would be a nice thing to have. Sadly this works only in the US. Good tip though Joel! This is of course US-only, so us non-Americans are out of luck. It does works outside US, not legally though! Modifications are needed to be done! How it is possible,can you give me procedure? It's important to note that not all AT&T phones allow installation of the Amazon Appstore. Also, I don't think there's been a decent app as the FAOTD in almost a year. I think the last decent one I DLed was Swiftkey. Just my 2 cents. There are some good apps and some bad ones. The problem is with all the trolls giving apps bad reviews and permission obsessive reviewers. I have downloaded many good apps that were given low reviews. The recent FAOTDs have not been as high quality as the ones given away in the beginning. There can only be a limited number of good apps. The Amazon App Store has much more apps than it did when it started. Your chances of randomly selecting a good app from a huge sample size is not good. can this trick work in all region? nice if you were clear about which regions this is available. Sorry, forgot to mention it in the article. Yes, Amazon Appstore is only US. Excellent tip Joel. I guess you need a particular version of Android to install the application. I will do the procedure you indicate to enjoy this store.